if you're looking to improve the look of your home then understanding kitchen cabinet sizes is going to be instrumental to find what you're looking for. Decking out your kitchen with just the right cabinets and accessories is going to be extremely important. You want to know what you’re getting into and you definitely want to make sure you know about the materials and sizes that are available. After all, with so many different options out there it can be difficult to get just what you need. With this kitchen cabinet sizes guide, we hope to help you create just the right kitchen look (or at least better understand what you’re looking at when it comes to kitchen cabinet dimensions and all the different sizes and shapes that go along. Standard cabinet sizes are great, because they help you better understand what you’re doing and how you should be measuring your kitchen out. But they aren’t entirely set in stone. That’s because you can always get custom cabinets that are the exact right size for your kitchen. If you’re looking to save some money, however, choosing cabinet sizes that are more basic and normal can definitely be a great benefit. It’s going to help you order from in stock options too, which means it’s going to save you time, but we’ll talk more about that later. The upper cabinets in your kitchen are the first ones we’ll talk about. These are where you’ll likely store things like glasses, bowls and plates. You want cabinets that are large enough to hold all of the things you need but you don’t want them to be too large because they can take over the entire space in your kitchen. You want a good balance of space for the cabinets as well as openness so you can feel comfortable and happier in your kitchen. Too many cabinets make that difficult, but you’ll find a whole lot more information about your upper cabinet sizes here. Upper kitchen cabinet height is actually quite variable. Different manufacturers consider different heights as being ‘standard cabinet height.’ What this means is you can find a range of different sizes to fit your needs. In general, you’ll find cabinets that are 12, 30 or 36 inches tall. This is going to allow you more freedom to get the space you need in the kitchen type you have. If you have a small kitchen you will be able to use the smaller cabinets while a larger kitchen will allow for the taller cabinets instead. When it comes to the standard cabinet depth of an upper or wall cabinet you’ll find there is only one. While you can opt for custom cabinets, the average cabinet depth is 12 inches. This provides plenty of space to put all of your belongings that need to be stored. It also leaves plenty of open space in the kitchen by not sticking too far out of the wall. This is important because you want room above the base cabinets that you will be using. That way you’ll be able to lean over the counters where needed to work on meals or anything else. So what about the standard cabinet sizes for width? Width on a wall cabinet is actually the only aspect that is similar or identical to that of a base cabinet. You may find something that is 12, 15, 18, 24, 30 or 36 inches wide. This provides plenty of space for the items you want to store and also provides a good range of sizes so you can match things up well in your kitchen. With these different sizes you’ll be able to create a system that fits in whatever amount of space you may have. You’ll also be able to keep enough space for your overall comfort. So now that we know what it takes to get a good wall cabinet or upper cabinet, you’re going to want your base cabinet sizes figured out as well. That way, you’re going to have a good balance of upper and lower cabinets. You’ll also have plenty of space for things like pots and pans or baking dishes. By getting a good size for these cabinets you’ll also create everything you could need to make your kitchen look great as well. You can get just enough of them as well, because there are plenty of different sizes and options to go. Standard kitchen cabinet height for base cabinets is actually quite standard. At 34.5 inches without countertops, these cabinets are just tall enough that you can easily get into them when needed and you can also easily use the tops of them. If you want to stand at the counter and prepare a meal or work on a project even, you’ll be able to do so comfortably at this standard cabinet height. It’s comfortable for the average person and works well for those who are short or tall, in most cases at least. If you are much shorter or taller than average it may not be quite as good of a choice, however. The average cabinet depth is 24 inches and this is what you will find with nearly every base cabinet. While you can find a variety of sizes otherwise, the depth is primarily set. This provides you the most space for all of the things that you need. In general, it will provide you with enough space to make sure you can improve your overall kitchen. These cabinets being the same depth ensures that you have a smooth design to the entire space. The most important thing is that they all look uniform, after all. But remember, you can have custom depth as well. The width of a cabinet is important but it’s actually variable with base cabinets as well as with uppers. They each come in sizes including 12, 15, 18, 24, 30 and 36 inches. Though of course, you can adjust these sizes as you like with custom sizes. Each manufacturer will generally offer sizes to your specifications and will also several different widths so you can mix and match them to your personal specifications. If you want a lot of smaller cabinets or a few larger ones, you can make that choice yourself to get the right kitchen design. 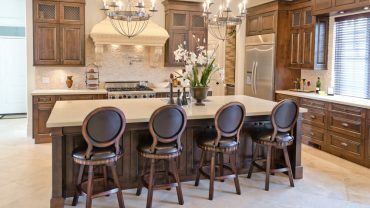 Once you’ve determined the correct kitchen base cabinet dimensions and upper cabinet dimensions you’ll be prepared to create a design that uses those cabinets properly. The right kitchen base cabinet dimensions will help you create one portion of your map. The right upper cabinet dimensions will help you with the rest. You must carefully measure the sizes of everything so you know just how much space you actually have in your kitchen. Once you know the length of walls you’ll be able to map out just which kitchen cabinets you actually want to put together to fill in that space. Make sure you map things out based on which cabinets you’ll be able to use the most. 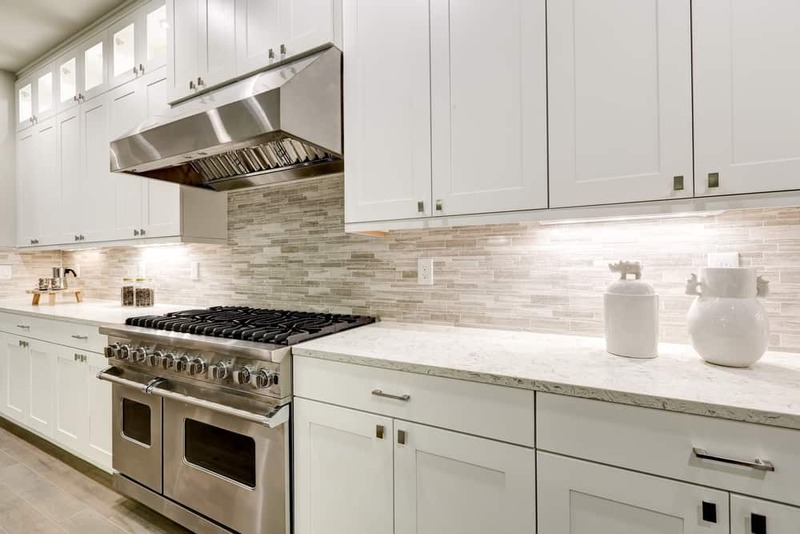 Kitchen cabinet depth is pretty well set, but if you find you need something other than a typical cabinet depth you may want to look at custom options. The width is going to be the primary concern because that’s where you have some flexibility. If you want two 18” cabinets or one 36” cabinet that’s going to be up to you. It’s also going to be entirely up to you what style of cabinets those might actually be. After all, there are a number of choices. Drawing things out is going to be the best way to figure out what you have and what you want to do. You have to create a sketch that really details the size of your space and then make sure you have all the correct measurements for your cabinets as well. If you already have cabinets you can simply replace them with something of the same size. If you don’t you can create a completely new design. Decide what type of cabinets you really need, like a corner or drawers. Once you know what you’re looking for you’ll be able to create the flow of cabinets that are most conducive to what you need. Once you’ve got an idea of what cabinet sizes you really need it’s time to start thinking about the other features of those cabinets. Don’t miss out on all the different styles that are out there. You’ll see plenty of different colors that are either natural or not. You’ll also see a number of stain options that are basic or specialized. There are also a range of different options in the way of doors, hardware and other accessories. You can choose which options you would like to put into your kitchen and you can mix and match however you like. That’s definitely going to be an important aspect because it means your kitchen will look just the way you want it to. You won’t have to sacrifice anything because you’re going to get fully what you’re looking for. The balance of everything is right there for you, unlike if you order something stock off the shelves. It’s all about knowing what you really want and working from there to create the ideal design. The kitchen cabinet depth that you choose is going to be extremely important. Balance the rest of your appliances with the standard kitchen cabinet depth that fits best. Though one is going to be the most common, it doesn’t mean it will work if you have larger appliances. Standard base cabinet depth may not work out properly for you. But going with something a little bit larger will definitely be a great way to keep your cabinets in line with your appliances and create a smooth transition. The only thing you need to do is make sure you look at all of your options and work your way from there. You’ll have a beautiful and very functional kitchen that you can enjoy for as long as you want. What could possibly be better than that? When you’re looking at standard style cabinets with standard cabinet depth you’re going to have the lowest costs. That’s because anything you can purchase directly from the store is going to be easy. You’re going to have a lot of benefits but this low cost, coming in at as little as $60 per linear foot. These in stock cabinets may end up close to $200 per linear foot however, if you want to get the best materials and the best style. This is all going to be extremely important when you’re deciding what you really want. When it comes to high quality cabinets you could be looking at around $100 to $650 per linear foot if you want something that is considered semi-custom. A semi-custom unit will give you a lot of options but doesn’t allow you to completely personalize the unit. You’ll be able to pick some things, like sizes to a smaller degree than with stock cabinets or the decorative aspects that come along with the cabinets. These are important for upper and base cabinets so make sure you’re looking at all of them and which companies or stores will allow you to use semi-custom options. If you really want to get exactly what you’re looking for and nothing else you should expect to spend quite a bit more money. That’s because custom cabinets are upwards of $500 per linear foot and could go as high as $1,200 per linear foot. This means that you’re going to spend a lot of money, but you’re also going to have a lot of benefits. After all, custom cabinets allow you to choose absolutely everything that you want in the exact way that you want it. You don’t have to worry about standard sizes or less than ideal designs. You can design it all yourself for the perfect look and feel.